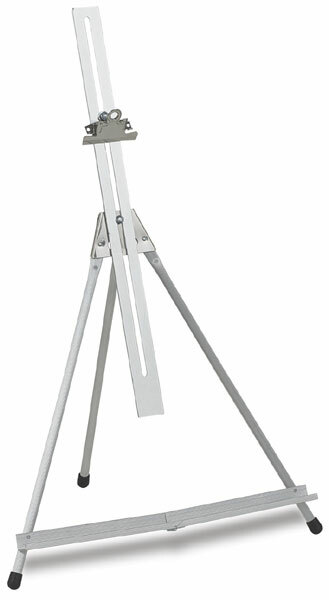 This easel is similar to the base model, but it includes an adjustable 18" steel extension bar and a sturdy canvas clamp assembly for holding larger canvases. It can securely hold a canvas as large as 32" high by 40" wide (81 cm × 102 cm). It weighs just 14 oz (397 gr).